In what turned out to be the shrewdest move of the year, Fox decided to move Paul Feig's female buddy-cop comedy from a late April playdate into summer. This is what is known as confidence in its product. On April 5, The Heat would have been challenged by the Evil Dead remake and a refitted Jurassic Park in 3D. It only would have needed $26 million to take the number one slot. Instead it was moved to June 28 to take on this year's second attack-the-White House film. Again, it only would have needed about $26 million to beat it. But after weeks of guesstimators believing the two films were neck and neck, the partnered ladies more than handled the guys and now eye even bigger numbers. 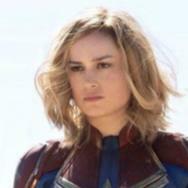 Put together two funny women at the peak of their box office power and combine that with a director you can promote just coming off one of the great female-centric hits in recent years, it is amazing more people didn't believe in this film's potential. Amazing as it may be this is Sandra Bullock's first true headliner since winning her Oscar for The Blind Side. That year, 2009, produced the two biggest grossers of a career that only reached $100 million five times in her live-action presence. (The last being 2000's Miss Congeniality.) As far as opening weekend's are concerned though, The Heat stands alone. Not too shabby. 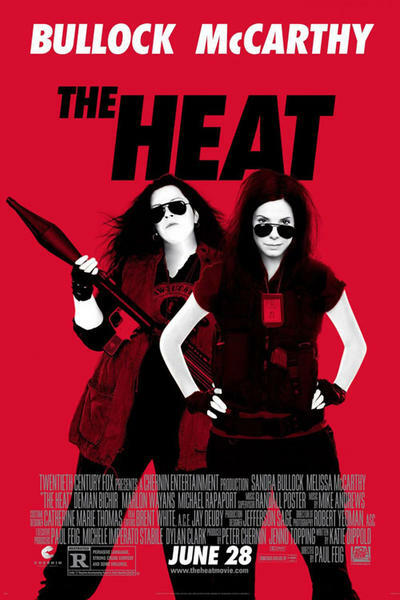 It doesn't hurt that Melissa McCarthy may be the hottest rising comedic star out there at the moment. Though appearing in movies since 1999 and having a seven-season stint as the 21st century's first Sookie on TV's Gilmore Girls, McCarthy has been on fire since her Oscar-nominated turn in 2011's Bridesmaids. Though still primarily getting press for TV's Mike & Molly and her often season-high appearances on Saturday Night Live, she helped turned a really awful film like Identity Thief into the fifth highest February release of all time with over $134 million. How far can The Heat go? Thirteen films in 2013 have received a Cinemascore of "A-" or better. All of them opened to at least $25 million. Those that have opened to less than $71 million have all multiplied their opening weekends to more than three times. (That may soon be expanded to as much as $82 million as Monsters University seems primed to hit the three multiplier as well.) 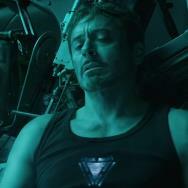 Iron Man 3, Man of Steel and Fast & Furious 6 are the three highest domestic grossers of 2013 to date (or, at least, will be in a day or two) and with their monster openings of $174.1, $116.6 and $97.3 million, respectively, those front-loaded extravaganzas have kept their multipliers between 2.3 and 2.4. Seven of those 13 films have hit the 3x multiplier with an average in excess of 3.37. Melissa McCarthy's Identity Thief hit 3.89. Sandra Bullock's The Proposal reached a height of 4.87. Paul Feig's Bridesmaids was a word-of-mouth smash at 6.44. The Heat and its "A-" rating should be the eighth film on that list and should end up at least somewhere between $134-161 million and helping to erase Fox's red on The Internship. White House Down may be another story. FilmDistrict's Olympus Has Fallen grossed $98.6 million after opening in late March this year with a $30.3 million weekend. It was budgeted at $70 million and has only picked up $62 million overseas (to date), making it a break-even proposition at best. 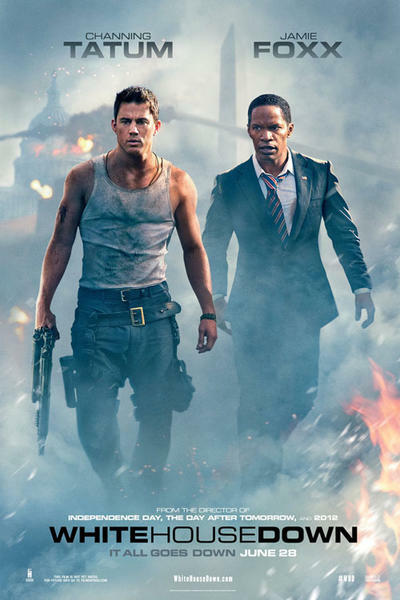 White House Down cost $150 million to make, not counting marketing and print costs. Maybe a drop in the investment bucket for a filmmaker that has averaged a $47 million opening for his blockbuster wannabes since Independence Day. No we have not forgotten Anonymous. Just letting it live up to its name. Look at these international numbers on Roland Emmerich since 1996. Even 10,000 B.C. opened to over $35 million here in the States. White House Down could not even hit $26. Those post-ID4 films posted an average budget of $134 million. White House Down cost $150. Most of Emmerich's films, despite a rah-rah-America slant, have had worldwide destructive appeal. His American Revolution/slaves-will-rebuild-your-house-if-you're-nice-to-them film from the summer of 2000 only posted $101 million overseas. Olympus Has Fallen, again, grabbed only $62. Channing Tatum headlining G.I. Joe: The Rise of Cobra did $152 million across the pond. This is not great news for Sony. A third-place finish was already in the cards for the film, but it failed to even beat the film (World War Z) everyone had pegged to be the bomb of the summer... in its second weekend. 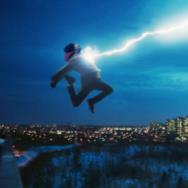 Sony already has the biggest bomb of the summer in After Earth. White House Down is going to need at least $230 million worldwide just to be the second biggest bomb of the summer. If we give the "A-" film the same consideration as The Heat (or its other "A-" counterpart Olympus Has Fallen) that would translate to about $83 million in the U.S. That's a lot to ride on Tatum's unproven international appeal. Emmerich better hope that those Django numbers come in overseas to rebuild this particular house.